I wasn't going to post a card today - mainly because I haven't made any new cards in about a week now. I'm afraid I'm having some medical issues with my shoulder and can't seem to be pain-free for more than about 15 minutes at a time (and I'm not one to make anything really quick)! Then I realized I had this Christmas card that I'd made several months ago and decided to post it. This isn't the greatest photo in the world but it'll just have to "do" for today. 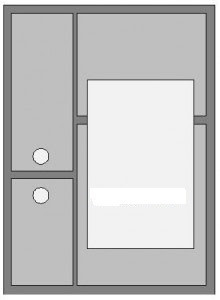 It's a very clean and simple one-layer card. 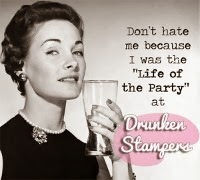 I really don't even remember what stamp I used. I know the sentiment is from Teeny Tiny Wishes (SU). I added some small red rhinestones as the "holly" and topped it off with some red gingham ribbon. Hopefully I'll be back in full swing later in the week. AND I do have a card to post for Wednesday for the Dude Time Doodles Sketch Challenge (so be sure and stop by on Wednesday)! I made this card a couple of weeks ago for a friend that will have a birthday next week. She raises Bassets and they all seem to look like this - just SAD! But she loves them and I thought she'd get a kick out of the card. The whole time I was making it though I kept wanting to add the sentiment "missing you" instead of "birthday wishes"! The image is from Karen's Doodles and I really like it alot. I was able to add that little funky ribbon treatment since this will be hand delivered instead of mailed. Not a fancy card by any means.....but she's not a "fancy" person either so think she'll like it. 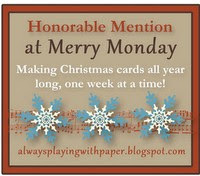 This is short and sweet today - but hopefully I'll be back up to par next week. Today I'd like to introduce you to CEO Sean! He's a new release Bonibleaux Digi image that you can find in her store HERE. Now tell me the truth - do you have, or have you ever had a boss that looked similar to this little dude? 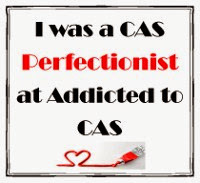 I know I have and you just gotta love 'em especially when you do all the work that they get all the credit! 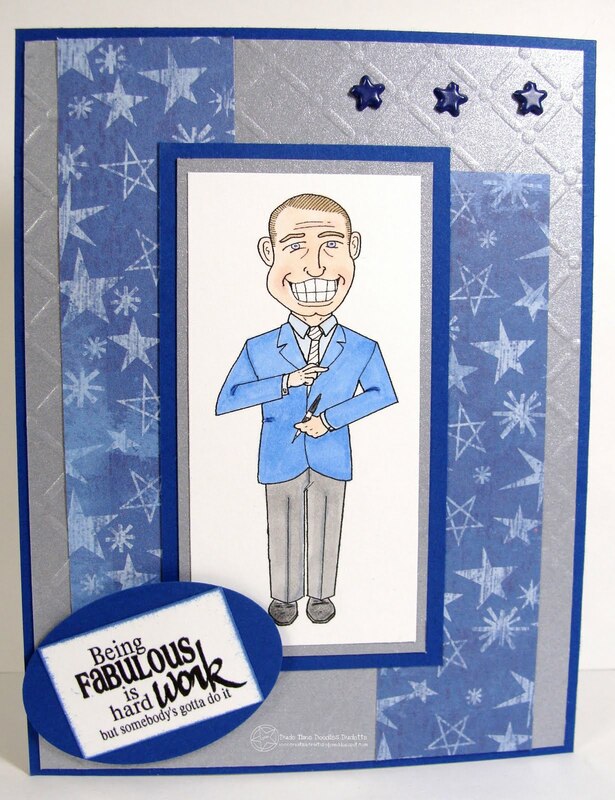 The sentiment is from Create with TLC and just fits Mr. CEO Sean to a tee! If you can't read the sentiment, click on the photo. 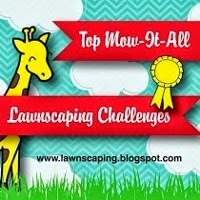 Now on to the Blog Hop! While your hopping be sure to leave some love as one of the Design Team Members will be secretly chosen as the Mystery Hostess of the Hop and one lucky commenter will receive one of the new release images or any individual image of their choice. 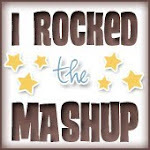 The Blog Hop does not have a starting and ending point so no matter where you are, you're in the right place. Once you have gone full circle, you've completed the Hop! 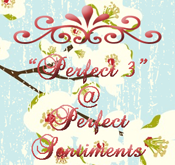 Get ready to see some fabulous inspiration - and new releases! 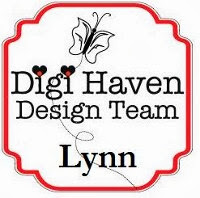 So, your next stop on the Blog Hop is Chrissy! The theme of the challenge at Stamps R Us beginning today is "for the girls". 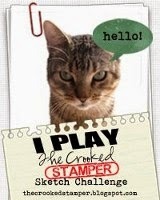 You have two weeks to post your entry so head on over the Stamps R Us today and join in on the fun. 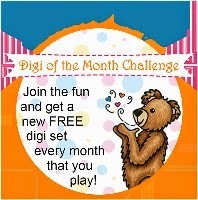 The challenge is being sponsored by Sassy Studio and you could be the winner of four digital images. 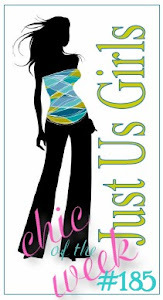 So, show us your "girlie" cards today. We also have a couple of new design team members and I know you'll find a lot of inspiration. On my card today I'm using one of the Sassy Studio images - isn't she just a cutie! She really reminds me of my granddaughter - that's 10 going on 20! I used card stock from SU and the DP is from My Minds Eye. I don't normally use flowers on a card but this one was just screaming for it. Thanks for stopping by and be sure and check out Stamps R Us today! "Never Enough Thyme" is actually the sentiment that comes with this stamp set - but I didn't use it on this card. I do have another card with this image that I'll be posting in a couple of weeks though that will have the sentiment included...so stayed tuned for that one! Spring has almost hit South Texas - and I'm so ready for it I could scream! We've had some beautiful weather lately but it'll get cold again I'm sure. This weather really fools you into thinking all that cold is over with - so I want to get out and get my garden planted and just basically "dig in the dirt". I really have to hold myself back though until at least the end of March! Herbs are one thing we don't really grow much of. I do like a few for certain things though. I thought his stamp set called Sweet Herbs from SU (thanks again Kristin) was just so pretty. I colored the image with Prismapencils. Of course I just had to add that little bitty butterfly from the Beautiful Wings die and I also used the Swirls embossing folder on the white panels. 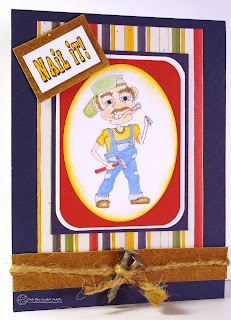 I'll be entering this card in the challenge at the Rubber Cafe (no patterned paper. Hope wherever you are - even if the weather isn't nice - you still have a wonderful weekend. It's the third Wednesday of the month and that means it's time for the Dude Time Doodles Inspiration Challenge! 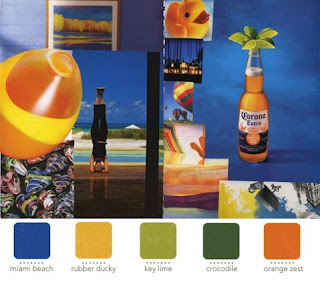 Head over to Dude Time Doodles and post your project today using the inspiration photo as your starting point. You're not required to use a Bonibleaux design from the Dude Time Doodles STORE but it always makes us happy when you do. It MUST be a masculine themed project - as it's all about the "dudes". Use the InLinkz to submit your project! 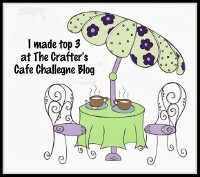 You have a week to enter the challenge and you could become the Top Blog Winner or one of the Top Three Winners. This "dude" from Boni's STORE is Ernie Carpenter and he's ready for any woodworking project you may have. He's got his hammer and nails and is ready to go to work. I used several of the colors in the inspiration photo to complete this card. The strip at the bottom is sandpaper and I ran the nails through the twine. 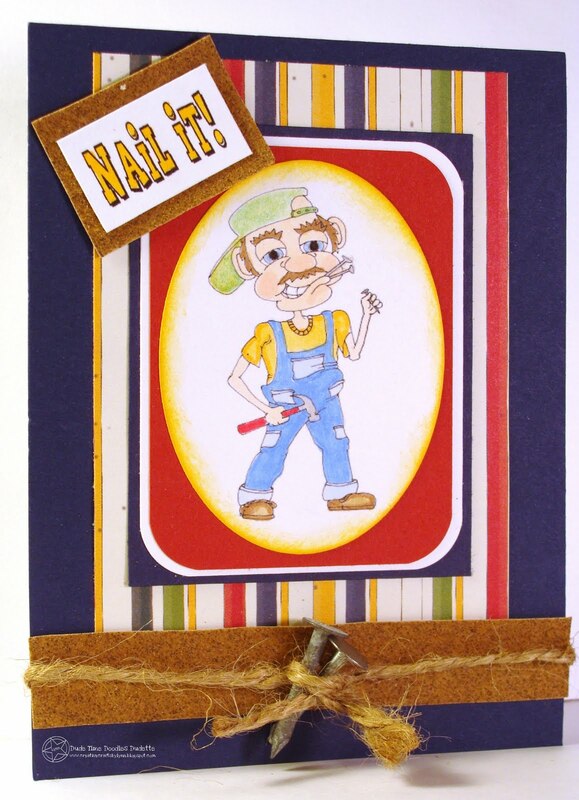 If I mail this card I'll have to change those nails so they have a smaller head on them (see how much I know about carpentry)! The sentiment, also from the Dude Time Doodles STORE, is framed using a small piece of sandpaper. 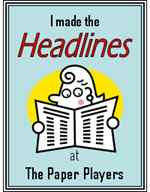 Be sure and check out all the other DT member projects and pop over to Dude Time Doodles and enter you project today! 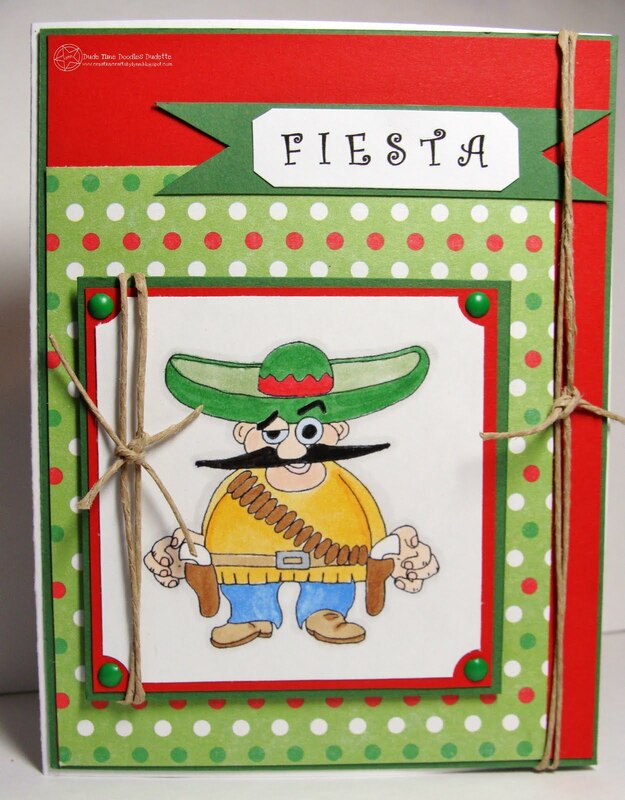 Fiesta means "party" and what a party it'll be with this little dude in attendance! Not real sure I'd want to join in on that one - he's got that look that almost says "party-OR ELSE"! He IS a cutie though and he's a Bonibleaux Design that you can find in the Dude Time Doodles STORE! Drop by today and see Tiny Tequilla and all the rest of Boni's cute images. 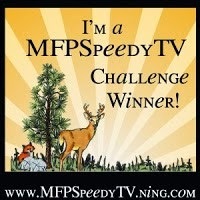 Dude Time Doodles is sponsoring the challenge over at the Midnight Madness sketch challenge (MMSC91) beginning today. Be sure and head over there and post your entry. Thanks for stopping by.............and stayed tuned as I'll have another "dude" for you tomorrow! Happy Valentine's Day and I hope everyone has a great day! 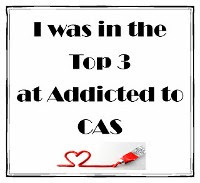 This is a CAS sympathy card I made just to have "on hand". We never know when we'll need this type of card. The sketch I used is an older one from Clean and Simple Stamping. I used some Pretty in Pink card stock and I don't care what I do, I can never get that to photograph good. It always looks a little "washed out" or something...never can get that true color - and it's such a pretty color. Oh well......The bird was made using a SU punch and after punching the wing I embossed it with the Swirls embossing folder (and no, I've never seen a blue bird with pink wings - but it looked good on the card)! This is a short post today - but stayed tuned - because I have another card to post tomorrow and another one on Wednesday!!!!! Well, this is the "last of the litter"! I finally remembered that this coming Monday is Valentine's Day so I got all my cards mailed out today - except for this one. I'll be giving this to my husband for the "big day". The square images were made with an old SU set called Mostly Flowers (thanks Kristin!) and the heart with a set from CTMH called Soul Mates. I looked up the Mostly Flowers set in SCS under the gallery and saw several that I guess this could be a CASE of - but none that I saw had the heart in the center. I used some Cherry Cobbler, White, and Black card stock. The squares were stamped with Archival Black from CTMH and the heart with Cherry Cobbler. I also heat embossed the heart using Iridescent Ice. The ribbon is some that I had in my stash and really matches that Cherry Cobbler. 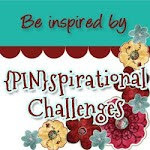 This will be for the following challenges; Creative Inspirations Paint - inspired by hearts, and for Stampin Royalty - hearts, and last but not least - The Paper Players - love is in the air! In this part of Texas, if it's smaller than a lake and a little larger than a pond, we call it a "tank"! I know this sounds funny but it works.....We own a piece of land a couple of hours from here that has a tank with a cabin sitting beside it just about like this. The cabin is not as large as this house, but when I saw this image from Starry Nights Studio Digi Shop, it reminded me of our place and all the peaceful and fun times we have there. And yes, alot of good fishing! I colored this image with Prisma pencils. I'd like to think I'm getting a little better anyway. I had in mind to make the card look like a picture in a frame and if you stand WAY back it really looks like that. Next time I'll put it together a little different without the little strips of Creamy Camamel paper and cut the Cherry Cobbler panels instead so the caramel shows through. I'm still in the "learning process" of this craft! I used the Square Lattice embossing folder on the Cherry Cobbler and the sentiment is from Warm Words (SU). Be sure and stop by Alissa's shop and see all the wonderful images she has to offer. Oh, and before I forget! 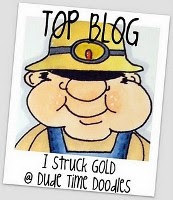 BE SURE and hop over to Dude Time Doodles - there's a FREEBIE and a challenge there that will have you jumping for joy! 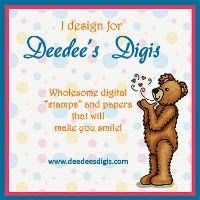 This cute little image called Girl Bear is from Digi Doodle Shop. Isn't she adorable? 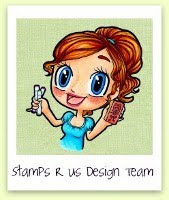 Wouldn't you just LOVE to have it........well, come on over to the Stamps R Us Challenge blog and win and she could be yours! 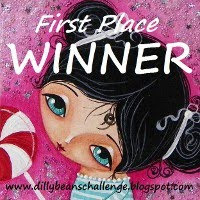 The winner will receive a $10.00 gift card to Digi Doodle Shop!!! 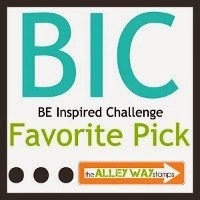 Plus, the top three will receive a badge for their blog! 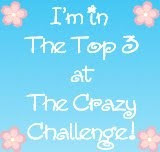 The challenge runs for two weeks, beginning today, and the theme is LOVE. Since Valentine's Day is right around the corner, a card with the theme of love should be easy to come by. 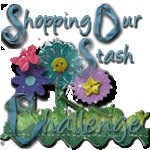 Come join in the fun today at Stamps R Us Challenges. 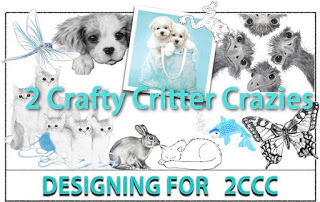 We also have a couple of new Design Team members and you'll love their creations - so come on over! Now, back to this cute little bear.....I used some Real Red, Pixie Pink, White and some Valentine paper I had in my stash. I colored her with prismas (still practicing...)and the punch is from MS. I also used the Swiss Dots embossing folder and the bow was tied with the help of my Bow-Easy. This is for several challenges.....I actually never enter more than like three challenges at a time, but I found five that I thought I'd try this time: Card Making Mamas ( this one is for a Valentine card), Digis With Attitude Challenge (using the colors pink and white or red and white - I actually used white with pink and red), Off the Wall Craftiness (using the colors pink, red, and white), Crafty Sentiments (use a bear), and Digi Doodle Shop (Valentine). 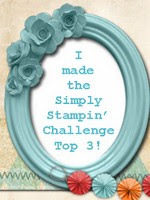 Thanks for stopping by..........and be sure and check out Stamps R Us Challenges today. 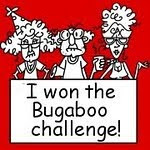 When my mojo seems to just disappear - as it often does....I try to either do a sketch challenge or CASE a card. In this case I CASEd a card that I saw on The Queen's Scene by Lynn. I used a different image and paper but it's basically the same. 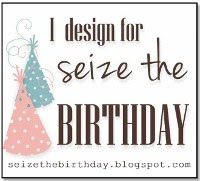 I picked up this little image by Craftsmart in the $1.00 bin at Michaels - gotta love those $1.00 stamps! The sentiment is from Teeny Tiny Wishes (SU). Throw is a little red, pink, white, DP, a couple of punches, nesties and ribbon - and it's completed! A very quick card but I like how it turned out and it'll make a cute card for Valentine's Day. No bling added - which means no extra postage when mailing!!! Dude Time Doodles is having their Sketch Challenge starting today - so come on over and join in on the fun. 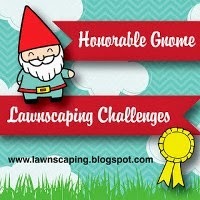 There are a few simple rules you need to follow on this challenge. You have one week to flip the sketch, twist the sketch, work the sketch, and submit the sketch! You're not required to use one of Bonibleaux's digis, but of course, if you do, it puts a smile on our face. 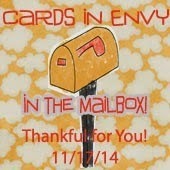 It MUST be a masculine themed card and then use the InLinkz to submit your creation! So be sure and enter your creation at Dude Time Doodles using this wonderful sketch! This little guy is called Penalty Pat ( found in Boni's STORE) - and he's jumping right out of that brand new 55 inch HDTV that was just purchased for Super Bowl Sunday!! 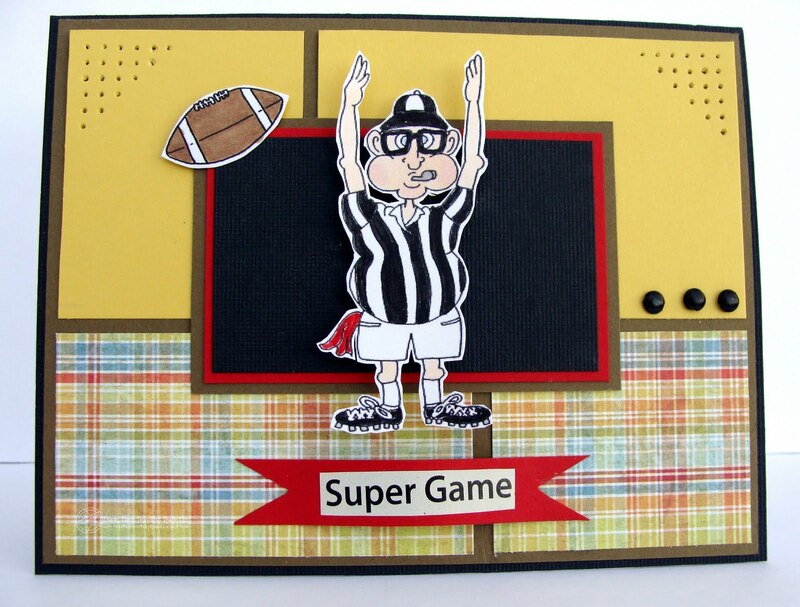 I always feel so sorry for the refs in a football game - if they make a good call for your team, they're the "good guys"....but if they make a good call for the other team, they're the "bad guys". Kinda a no-win situation if you ask me - but somebody has gotta do it I guess. I colored Pat with some SU markers and used Real Red, Black, White, and Daffodil Delight card stock, and some patterned paper from my stash. I cut him out and popped him up on dimensionals. 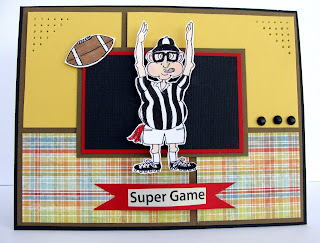 The little football (also another image from Boni that you can find in the STORE) was also cut out and "popped up". 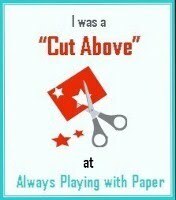 The sentiment was just simply cut out of a magazine that was advertising the Super Bowl! So, who are you going to yell for this Sunday? Steelers or Green Bay? Since none of the teams from Texas are playing in the Super Bowl this year, I'll probably just have to decide who has the cutest quarterback and yell for that team!!!! Thanks for stopping by.........and BE SURE and enter your creation over at Dude Time Doodles for the sketch challenge. 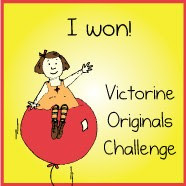 There will be TWO winners for some fantastic prizes!! !